NWT Grimston Warren01603 625540work Nature ReserveWhat to look for: Spring/summer - cross-leaved heath, marsh cinquefoil, sedge, pill sedge and lesser water plaintain. Broad bodied chaser, brown hawker and black-tailed skimmer. Woodpark, turtle dove, tree pipit and nightjar. Autumn/winter - marsh fern. Year round - bullfinch and yellowhammer. Facilities: Information board on NWT Roydon Common. Reserve leaflet. 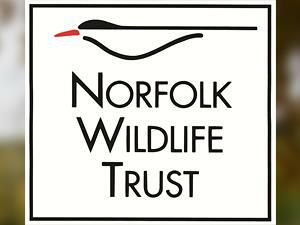 Directions: NWT Grimston Warren (Tony Hallat Memorial Reserve) is east of King's Lynn. Leave King's Lynn on the A149 to Fakenham and turn off at the Rising Lodge roundabout. Take the A148 to Fakenham for 300m and turn right towards Roydon. Two car parks are available on the right - 1km along and 2.7km along. Access: Entrance is 1.5km from NWT Roydon Common car park via the public footpath. Car park map ref: TF 680 229 (OS Landranger 132). Management Aims: Our restoration of NWT Grimston Warren (Tony Hallat Memorial Reserve) has involved the clearance of conifers to encourage the re-establishment of heather and other heathland plants, as can be seen at neighbouring NWT Roydon Common. What to look for: Spring/summer - cross-leaved heath, marsh cinquefoil, sedge, pill sedge and lesser water plaintain. Broad bodied chaser, brown hawker and black-tailed skimmer. Woodpark, turtle dove, tree pipit and nightjar. Autumn/winter - marsh fern. Year round - bullfinch and yellowhammer. Did you know? - Against the advice of renowned botanists, in the 1960s this beautiful heathland was lost to commercial forestry. The proximity of the wetland to the heath makes it a particularly valuable nature reserve, as does the fact that it forms part of a network of wildlife sites in the Gaywood valley which together create a large area around which species can move at will.